The NRA’s Eddie Eagle program is used to sell guns to kids in a similar fashion to the tobacco industries “Joe Camel” and alcohol industries “Spuds MacKenzie” programs. These youth programs are actually marketing tools that use cartoons to sell kids. This can create children that are NRA Tea Party Insurrectionists Extremist Gunophile Fetishists. Eric David Harris (April 9, 1981 – April 20, 1999) and Dylan Bennet Klebold (September 11, 1981 – April 20, 1999) were American high school seniors who committed the Columbine High School massacre. They killed 15 people—including themselves—and injured 24 others, three of whom were injured as they escaped the attack. The two then committed suicide in the library, where they had killed 10 of their victims. It has also been rumored that possibly an additional student was injured in the attack, although this has never been confirmed considering the student never came forward and identified themselves and/or whether their injury was directly inflicted on them by the shooters. Eric David Harris was born in Wichita, Kansas. The Harris family relocated often, as Eric’s father, Wayne Harris, was a U.S. Air Force transport pilot. His mother, Katherine Ann Poole, was a homemaker. The family moved from Plattsburgh, New York, to Littleton, Colorado, in July 1993, when Wayne Harris retired from military service. The Harris family lived in rented accommodations for the first three years that they lived in the Littleton area. During this time, Eric met Dylan Klebold. In 1996 the Harris family purchased a house south of Columbine High School. Eric’s older brother, Kevin, attended college at the University of Colorado at Boulder. A year before the massacre an entry into a journal of Eric’s talked about hijacking planes and crashing them in New York City. 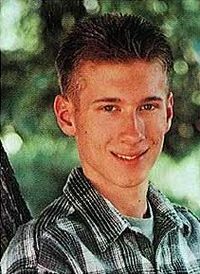 Dylan Bennet Klebold was born in Denver, Colorado, to Thomas Klebold and Susan (Yassenoff) Klebold. His parents attended a Lutheran church with their children, and Dylan and his older brother, Byron, attended confirmation classes in accordance with Lutheran tradition. At home, the family also observed some rituals in keeping with Klebold’s maternal grandfather’s Jewish heritage. Susan’s grandfather, Leo Yassenoff, was a builder and philanthropist. Thomas Klebold was raised by a brother 18 years his senior, after his parents had died while he was young. Thomas Klebold was a geophysicist-turned-realtor and ran a small real estate business from home, while Susan Klebold worked for the State of Colorado, administering training programs for the disabled. 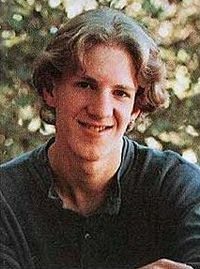 Klebold attended Normandy Elementary School during first and second grade, then attended Governor’s Ranch Elementary School, where he was part of the CHIPS (Challenging High Intellectual Potential Students) program. He met and befriended Brooks Brown around this period, but he would not meet Harris until junior high school. Because Harris and Klebold were both underage at the time, Robyn Anderson (whom Klebold attended the prom with three days before the shooting), an 18-year-old Columbine student and old friend of Klebold’s, made a straw purchase of two shotguns and Hi-Point carbine for the pair. Anderson was not charged, in exchange for her cooperation with the investigation that followed the shootings. After illegally acquiring the weapons, Klebold sawed off his Savage 311-D 12-gauge double-barrel shotgun, shortening the overall length to approximately 23 inches (0.58 m), a felony under the National Firearms Act, while Harris’s Savage-Springfield 12-gauge pump shotgun was sawed off to around 26 inches (0.66 m). The shooters also possessed a TEC-DC9 semi-automatic handgun, which had a long history. The manufacturer of the TEC-DC9 first sold it to Miami-based Navegar Incorporated. It was then sold to Zander’s Sporting Goods in Baldwin, Illinois in 1994. The gun was later sold to Thornton, Colorado, firearms dealer Larry Russell. In violation of federal law, Russell failed to keep records of the sale, yet he determined that the purchaser of the gun was twenty-one years of age or older. He was unable to identify the pictures of Klebold, Anderson, or Harris shown to him by police after the shooting. Two men, Mark Manes and Philip Duran, were convicted of supplying weapons to the two. These two gun owners are a product of the NRA pro-gun lobby powerful propaganda machine who is not to be viewed as stating anything other than justification for its selfish, for-profit motive where history itself is changed to suit their goals. It must be difficult to be the patsy of the gun industry sales machine. This post is written as part of the Media Materials Gun Facts fellowship. The purpose of the fellowship is to further Media Materials’ mission to comprehensively monitor, analyze, and correct gun misinformation in the U.S. media. Some of the worst misinformation occurs around the issue of guns, gun violence, and extremism; the fellowship program is designed to fight this misinformation with facts. This entry was posted on Thursday, September 22nd, 2011 at 5:41 pm and is filed under Uncategorized. You can follow any responses to this entry through the RSS 2.0 feed. You can leave a response, or trackback from your own site.